Egypt is the world’s largest importer of wheat; could Russia’s heat wave (and subsequent ban on grain exports) become Egypt’s hunger? Bill McKibben shows how one country’s excess emissions impacts the entire earth’s atmosphere, which causes a whole slew of its own unforeseen chain reactions. Industry and tourism cause noise pollution that disrupts hapless reef fish, who then struggle to locate the underwater habitat that best supports them. These are typically slow-moving processes, but our commercial interconnectedness has brought Russia’s recent environmental woes close to home. After crippling heat waves, the Russian government halted its grain exports. Meanwhile, Egypt will need to consider the source of its wheat just a few days in advance of Ramadan. “Egypt is the world’s largest wheat importer and the government has signed contracts for the purchase of 540,000 tons of wheat from Russia for delivery between Aug. 1 and Sept. 10,” according to Shaimaa Fayed. Egypt’s main state wheat buyer said on Thursday he would seek an additional 60,000 tons of wheat per month to make up for any shortfall after Moscow said it was temporarily banning grain exports. By banning grain exports following record temperatures in the northern territories more commonly known for its brittle cold weather and vodka-drinking revelers, Vladimir Putin hopes to stave off inflation. “Putin’s spokesman Dmitry Peskov said the ban would become effective from Aug. 15 and apply to contracts already signed. 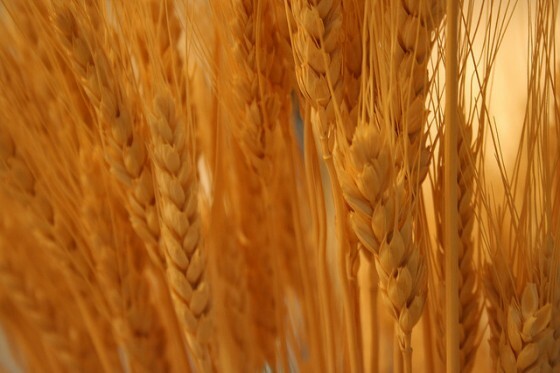 News of the ban sent wheat prices to contract highs,” writes Fayed. Nomani Nomani, the chairman of Egypt’s General Authority for Supply Commodities (GASC) was careful to assure the press that Egypt has a back-up supply of wheat kept for emergency situations and that the country is not desperate to buy more. Nonetheless, he also said “I will seek 60,000 tons every month in addition to my needs,” which will be distributed over a period of several months. Although Nomani hopes that the Russian government will honor contracts that have already been completed, he also relents that “the Russian government has the right to take any decision that suits it,” he told Fayed by telephone. As climate change, that roiling cloud raining on our environmental arrogance, makes its way around the planet, we will feel the suffering of our brothers and sisters. Today, Russia’s heat is Egypt’s hunger; what will tomorrow bring?